Calgary Westside communities are where you’ll find some of the most luxurious single-family homes in the city. From the mansions of Aspen Estates to ridge walkouts in Cougar Ridge, there’s no shortage of luxury properties to choose from when considering a move to the Westside. Below are all Westside luxury homes for sale in Calgary currently available on the MLS®. Call / text anytime or send a message using the contact form below if you have questions about any listings or would like to know more about luxury properties in Calgary’s Westside communities! While many parts in various Westside communities are home to upscale real estate, there are a few parts that stand out from the rest with distinction – and for good reason. Established in 1998, to date Aspen Estates includes nine completed phases and has become known as one of the most premier luxury neighbourhoods in Calgary. Unique custom built homes from several of Calgary’s best luxury builders, wide and beautifully landscaped tree-lined boulevards and spectacular views of the aspen groves, rolling foothills and mountains to the west are some of what to expect from this luxury subdivision of Aspen. The Point is an exclusive new community being developed to the north of Patterson Heights nestled in the west slopes of Calgary’s Westside. Dubbed “The New Address of Distinction,” these estate properties offer luxury buyers more than just the ordinary when it comes to upscale real estate with beautiful custom built homes in addition to breathtaking panoramic views of the Bow River Valley and northwest part of Calgary. Wentworth is an exclusive subdivision of West Springs in Calgary’s Westside. Home to approximately 1000 people, the estate-style community was developed between 2002 and 2008 and features ample green space, tree coverage and consistent architectural controls for all its luxury homes. Timberline Estates is a 22-acre exclusive gated community located directly west of Springbank Hill. These estate homes are built on lots starting at 10,000 square feet, providing the utmost in space and privacy for owners. Enhancing the desirability of these highly customized luxury properties are spectacular views of the rolling foothills and Rocky Mountains to the west. Timberline Estates homes are built by Albi Homes, Homes by Avi and Crystal Creek, three award winning builders in Calgary. Architectural styles include Contemporary, Craftsman, French Country, Prairie and Tudor with an emphasis on using stone accents for exterior design. Castle Keep is an exclusive mini-subdivision in Aspen Woods featuring a unique medieval architectural theme with homes clad in extensive masonry and fibre cement siding. The community features a range of estate homes with 70 foot wide lots backing out onto an environmental reserve with large developed walk-out basements. Castle Keep features a select number of bungalows and even a high-end townhome development by Avi Urban, the multi-family division of Homes by Avi who built the community’s single-family properties.  Questions about Westside Calgary Luxury Homes? Don’t settle for anything less than the best when buying and / or selling luxury real estate in Calgary! As REMAX Professionals and REALTORS® with many years of experience in helping people buy and sell luxury real estate in Calgary, we guarantee to provide you with only the best service and advice while taking care of all your real estate needs. Call anytime or message us below and we will get back to you quickly – if not immediately. 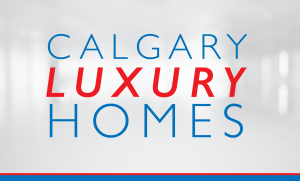 We are looking forward to helping you accomplish your luxury real estate plans in Calgary’s Westside!